The perfect occasional chair for your living space or bedroom. 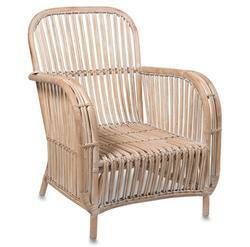 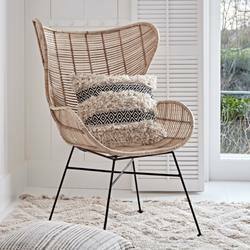 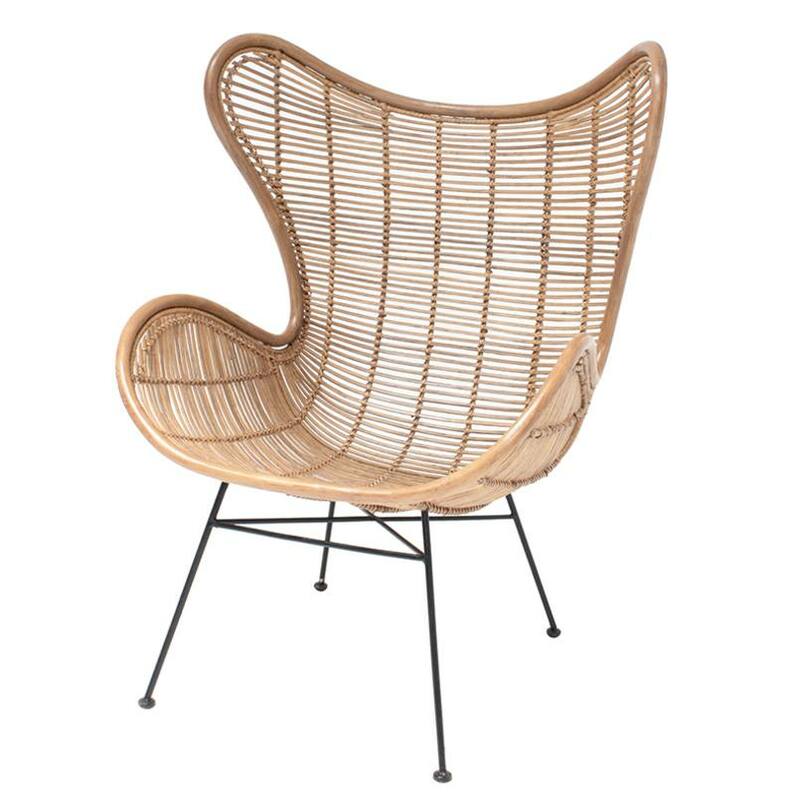 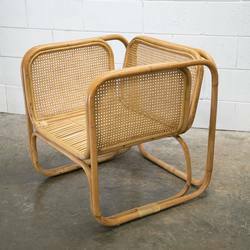 Woven from rattan with a strong metal frame, our large chair has a wide curved seat, high winged back and low arms. 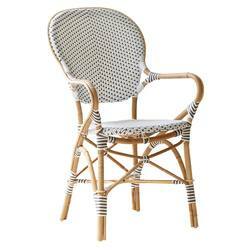 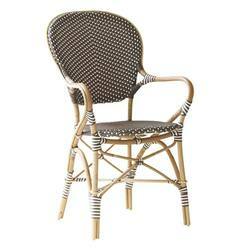 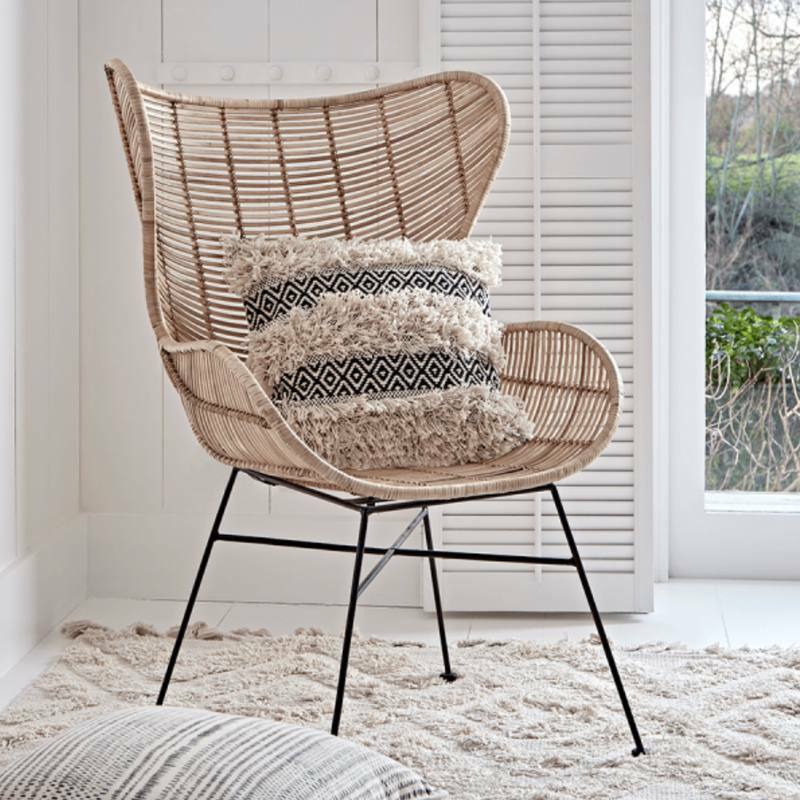 The chair features natural coloured, open weave rattan details and black iron legs.